I love reclaimed wood and using it in home decor and projects so much that I am devoting a whole week to it here on My Sweet Savannah. 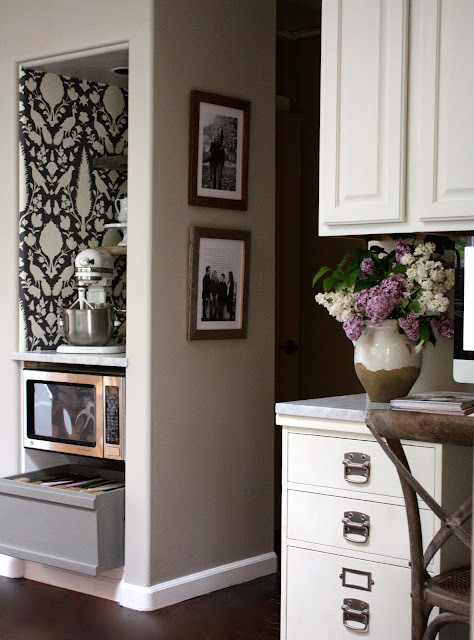 Each day I will be showing you ways to use reclaimed wood in your own home. Hopefully it will inspire you to start a little project, or just get inspired for future projects. One way I like to use reclaimed wood is on picture frames. I made these ones out of free pallets. If you do not want to make your own, many stores sell barn wood picture frames. I love the look of barn wood frames a lot. 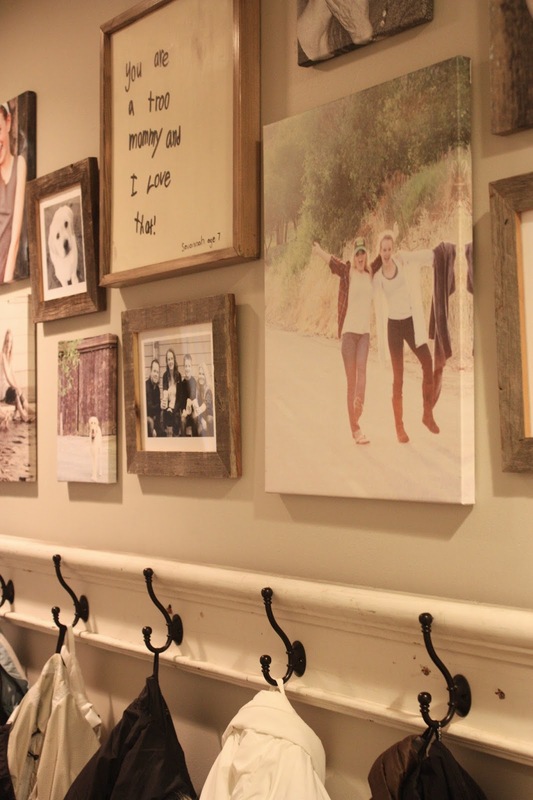 In fact, I had some family photos framed from Minted in this type of wood. I hung some in the hallway on this gallery wall. I even have some in the kitchen. You can view that post here. 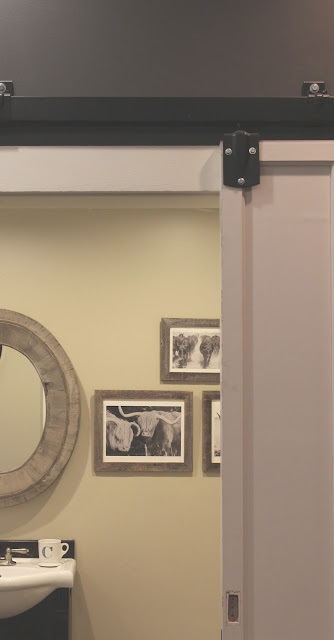 And since I have a bit of an obsession with them, I just ordered 3 more from Minted for Cody's bathroom. Who says you can't have art in the bathroom? I think they compliment his mirror nicely. Cattle drive, staredown, and Highland Cows. I'll be back tomorrow with a DIY reclaimed wood project for ya! I love the use of reclaimed wood but do not know where to find it. Would you share some sources? Thanks! 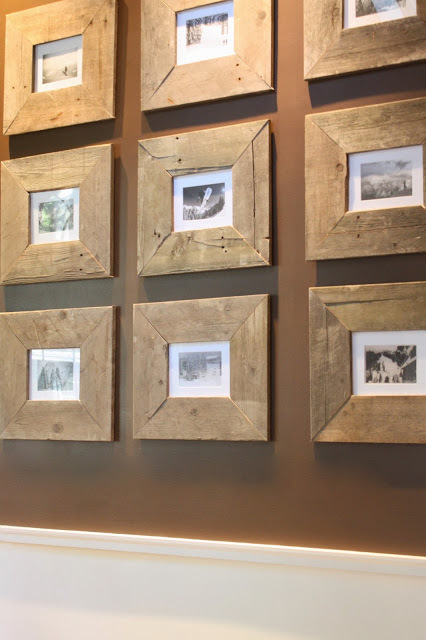 I absolutely love the first image with the reclaimed wood frames…gorgeous! !